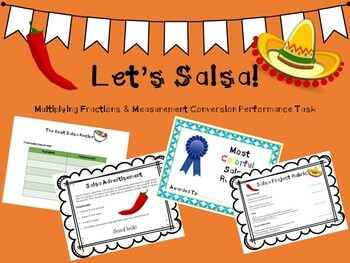 Make math relevant with this fun, hands-on project! 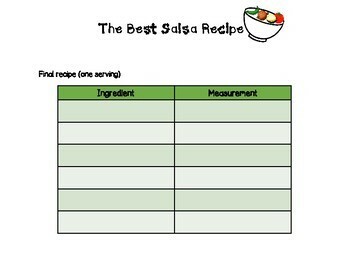 Students work in groups to create the perfect salsa recipe, carefully measuring out and recording each ingredient. They then use their knowledge of fractions to enlarge the batch to serve a big group. 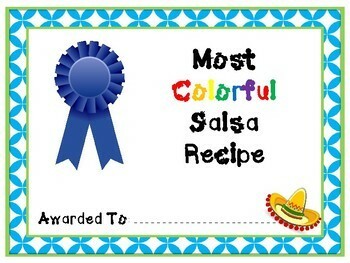 Finally, the salsa taste-test contest begins! This project is fun, hands-on, and is sure to be one that your students will remember for years to come! Product includes everything needed to complete this project, including lesson plan, worksheets, assignment sheets, rubric, parent letter, and superlative awards. Please leave feedback for this product!